There are two words that cause much confusion in the food world: Canadian cuisine. We’re familiar with French, Italian, Chinese, Japanese and even English cuisine, but the idea of a distinctly Canadian one still causes much confusion. Surveys say poutine has become our favourite national dish, but is poutine as much Canadian as it is Québécois? And what about that Ontario favourite, butter tarts, or Vancouver Island’s famous Nanaimo bars? Montreal is famous for bagels and smoked meat, but chances are you won’t find them in Saskatchewan. And then there’s Newfoundland, a province known for a repertoire of cod specialties such as salt cod, cod tongues, cod sounds, cod cheeks and the ultimate fish and chips made with — you guessed it — cod! But what about the rest of us whose local cod offerings are few and far between — or made of cod imported from Iceland? As for other iconic Canadian ingredients, Quebec has cornered the market on maple syrup and foie gras, Manitoba brings us wild rice, P.E.I. is oyster mecca and B.C. is one of the few places you’ll find those odd-looking but fabulous tasting goose-neck barnacles. Yes, there are specialties everywhere you look, but so much of Canadian cuisine is regional, which leads to the question, is there anything that really unites us under one banner? 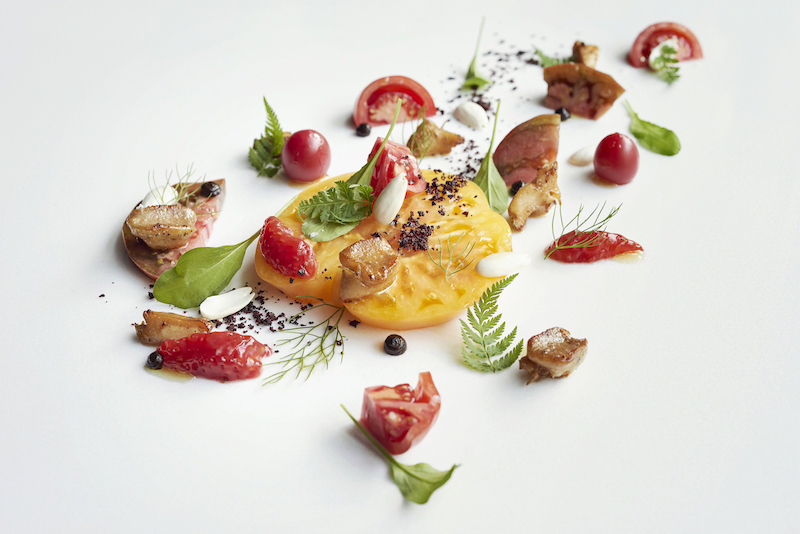 Maybe not a single ingredient or dish, but how about topnotch chefs and excellent restaurants? You can dine exceedingly well in Canada these days, and not just in the big cities but most everywhere from coast to coast. Montreal has long played gourmet capital of our country and is still going strong with relative newcomers like the edgy Le Mousso, the cool Moleskine and the sometimes-crazy Montréal Plaza. The beauty of the Montreal restaurant scene is the depth of talent in the chef ranks. Young innovators abound in North America’s largest francophone city, with a repertoire of local ingredients from cattail hearts to sea buckthorn berries from which to draw inspiration. And the Québécois customer is open-minded when it comes to outré foodstuffs like seal, monk fish liver and lamb sweetbreads. But it’s not always about nouveau Québecois cuisine in Montreal, where two of the city’s most glamorous restau-rants are the sublime Portuguese Ferreira Café (their grilled fish is exquisite and don’t miss the seafood rice! ), and chic Greek Milos, another fish specialist and the motherhouse of what is now an international powerhouse restaurant presence. 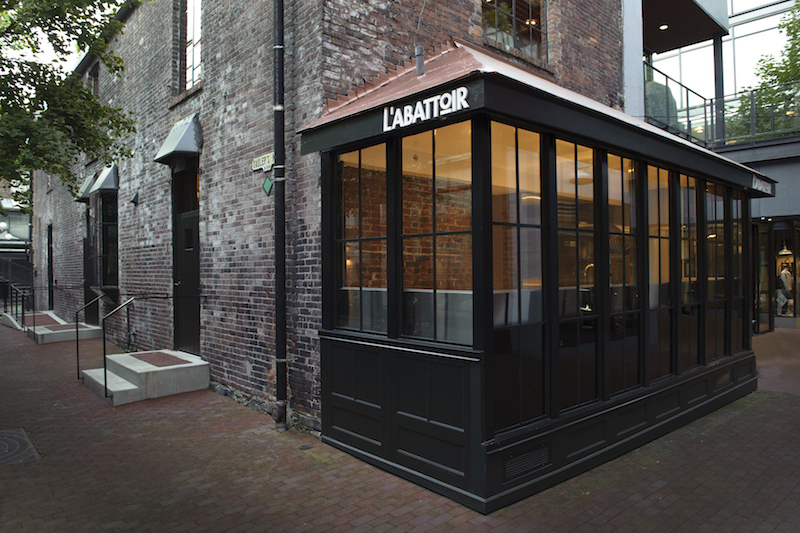 No doubt about it, Montreal has merited its food-lovers-destination reputation. Toqué! presents as well as it pleases. But hold on there. Toronto chefs are also getting into the groove, not so much trotting along anymore as galloping ahead with the likes of Rob Gentile of Buca and Grant van Gameren of Bar Isabel and Bar Raval turning a once sleepy food scene into a very exciting one. Also on that hot list: the meticulous, French tasting-menu enclave Alo and the brand-spanking new French bistro, Bacchanal, and van Gameren’s diner redux, Harry’s Charbroiled Dining Lounge. And that’s only scratching the surface. As for Vancouver, long a heck of a fabulous restaurant city, there’s plenty of renewal there too, with hot spots like Bao Bei, L’Abbatoir and the Quebec-inspired St-Lawrence attracting the foodies who still flock to Vancouver’s iconic restos like the posh Hawksworth and Bishop’s as well as the ever-groovy and recently revamped, Vij’s. Yet perhaps what’s especially exciting on the Canadian restaurant scene right now is the number of excellent dining options in the country’s smaller cities. Take Quebec City, for instance, where classical French establishments like Le Saint-Amour and Le Continental and modern Québécois restos like Légende and Le Bouchon du Pied Bleu abound in the city. Drive out a little further to the smaller towns and you’ll find gems like Vices Versa in Murray Bay as well as the phenomenal Chez Saint-Pierre in the village of Le Bic, near Rimouski. In the Maritimes, the buzz right now is focused on Newfoundland with restaurants like Raymonds and Mallard Cottage in St-John’s, winning international accolades. 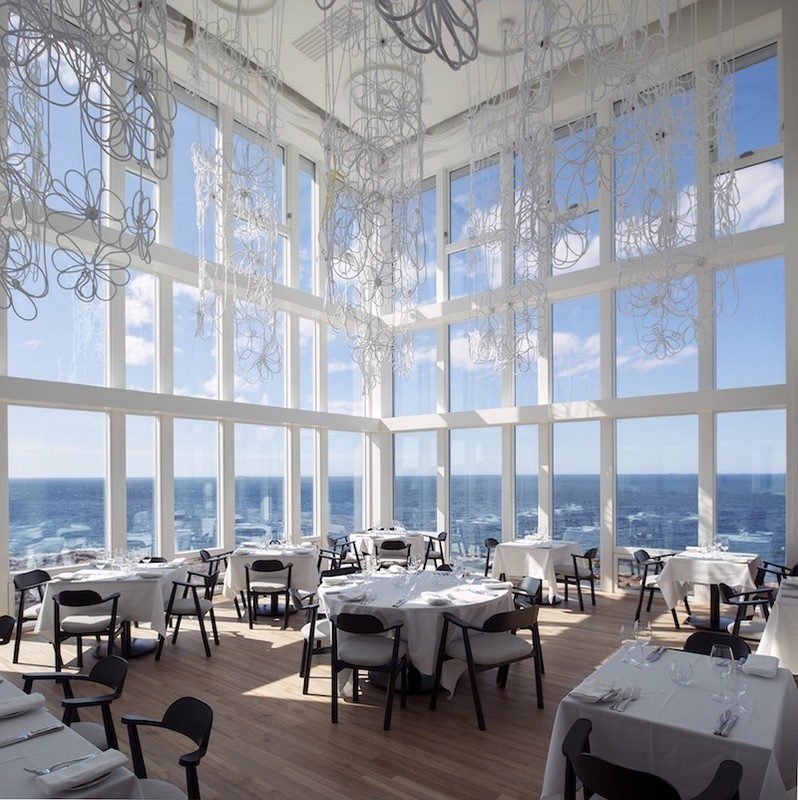 And the destination foodie location right now would surely be the Fogo Island Inn where you can actually see icebergs and watch whales while enjoying a dinner of never-fresher Atlantic cod served, ideally, with an organic wine from Niagara. 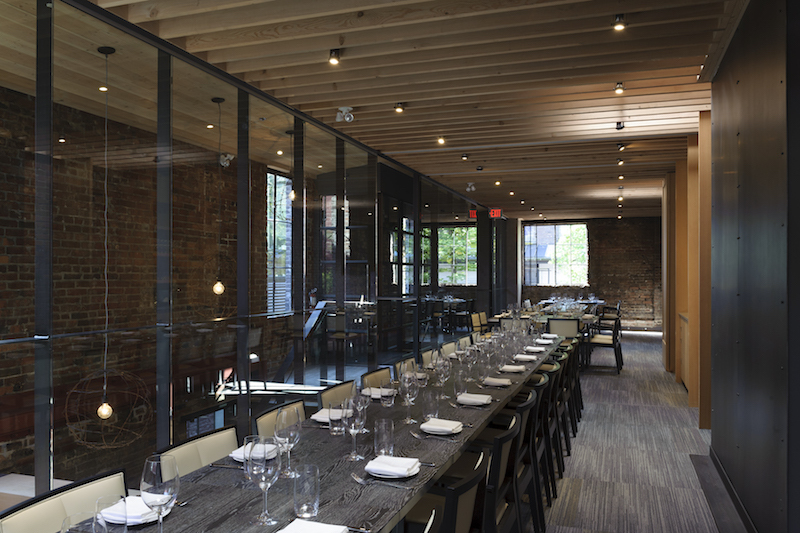 Both Gwyneth Paltrow and Justin Trudeau swooned over their time at Fogo’s Kitchen Collective, which was named one of En Route’s Best New Restaurants in Canada in 2013. A bucket list destination for sure! The magic of Fogo Island. Once known as a steak house city, Calgary is now a fine-dining go-to thanks to restaurants like Rouge with its duck confit pierogies, Model Milk with its spicy fried chicken, and Mercato with its homemade gnocchi and cauliflower crema. Winnipeg is making its way onto the foodie map thanks to restaurants like Clementine (for brunch) and Segovia (for tapas). And then there’s Enoteca, the acclaimed French/Spanish/American small-plates restaurant located in, of all places, a strip mall in tiny River Heights. Heading to Canada’s most Western point you’ll find one of the country’s top restaurant destinations, Tofino, where the food scene is becoming as much of a draw as the surfing. Besides the great bakeries (the doughnuts at the Rhino Coffee House are drop-dead delicious), and the incredible sh tacos at Tacofino (be prepared for a lineup), THE place to be in Tofino is Wolf in the Fog. The motto at “The Wolf” is “Fish. Forage. 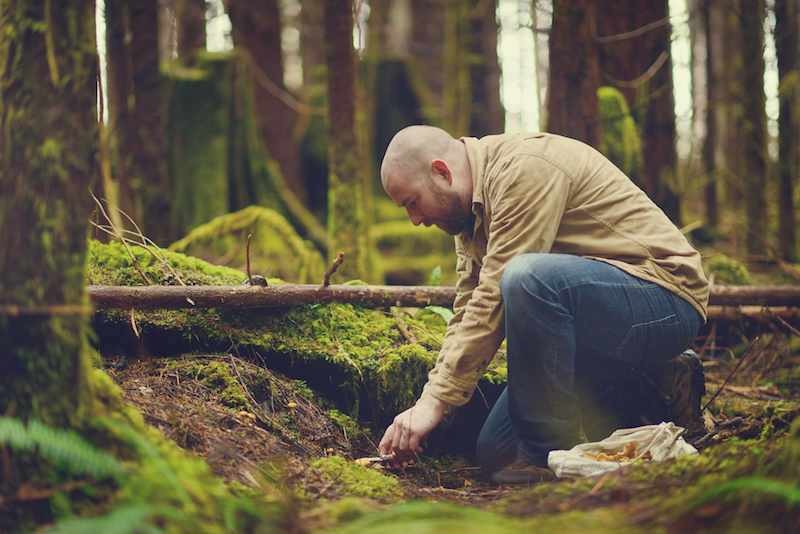 Feast.,” and the style of cuisine is locavore central, with dishes like seared Tofino salmon with red cedar jus, mushrooms, faro, garlic and shallots. But if ever there was a city to show how far Canadian cuisine has come, it would be none other than our beautiful capital, Ottawa. A decade back Ottawa was nowheresville on the restaurant scene, with foodies flocking to nearby Hull for a gourmet meal. But today Ottawa is holding its own with restaurants like Riviera, Supply and Demand, and Pure Kitchen, a vegetarian eatery that takes kale Caesar salad to new heights. And if you’re up for just about the best brunch, Edgar in Gatineau is my top pick not only for its crazy-delicious baked goods and coffee, but a Dutch baby pancake topped with aged cheddar, braised pork belly and maple syrup. Yum! Happy foodie travels Social Gals and Gents!